The air drone (UAS) industry has always been a turbulent, yet omni-promising market. Innovation continues to supersede proposed reality and advancements are only expected to continue with vigor. By 2020, the air drone industry is expected to reach a market value of $100 billion, $17 billion of that valuation attributed solely to commercial drones, according to Goldman Sachs. The available options are numerous and the market itself can be difficult to traverse, but the legality behind it all proves even more so. Drone Major Group is pleased to welcome Royds Withy King as a partner, a dynamic and innovative UK based law firm, to offer a premier level of legal expertise throughout the commercial air drone integration process. Like Drone Major Group, Royds Withy King prides itself on being ahead of the curve, constantly adapting and changing with the innovations and advancements in the drone world. Representatives from Royds Withy King work not only to navigate the laws and regulations of air drone operation to ensure proper compliance, but they also take any necessary steps to place their client in a competitively advantageous position. 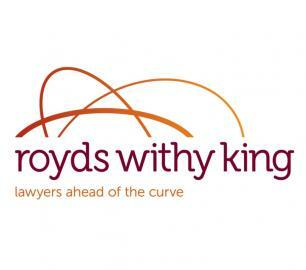 Royds Withy King’s tangible experience, coupled with their representatives’ passion for the done industry, place them at the top of mind for any organisation’s legal requirements. Integrating the most effective and sustainable drone and counter drone technology is possible with Drone Major Group, now also positioned to offer industry curated legal expertise with Royds Withy King. Explore Royds Withy King on Drone Major here.